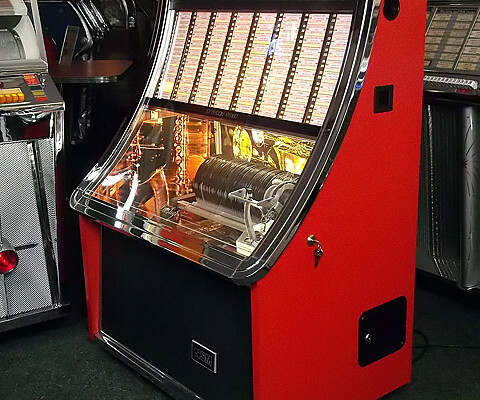 Here at the jukebox shop we have been repairing, servicing, restoring and selling jukeboxes for the past 50 years and have experience with a wide range of manufacturers from all eras. So whether you are having problems with a 1930’s Rock-Ola 78 player, a 1950’s Wurlitzer 45 player or a modern NSM CD player, we are likely to have the solution. 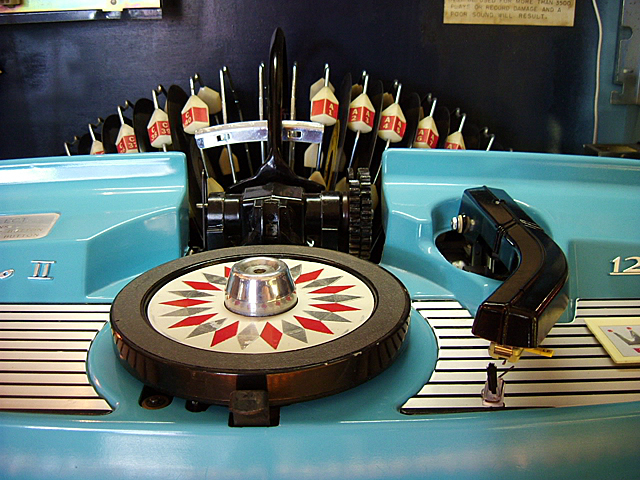 We offer full workshop and on-site servicing for most makes and models of jukebox. 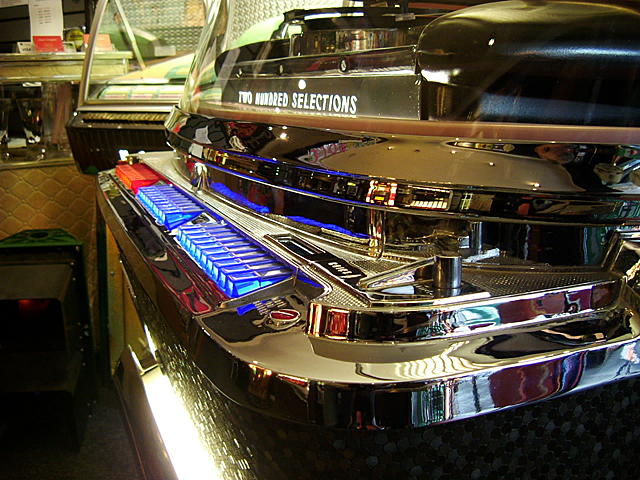 If you prefer your jukebox to be repaired in-situ, we can offer on-site servicing throughout the UK either by our own engineer or through our network of trusted technicians.If you do not want to go to the expense of having an engineer come to your house then we have extensive workshop facilities for all types of repair, whether it be mechanical, electrical electronic, audio or cabinet related. You can bring the jukebox in using your own transport or we can arrange a collection service for you. 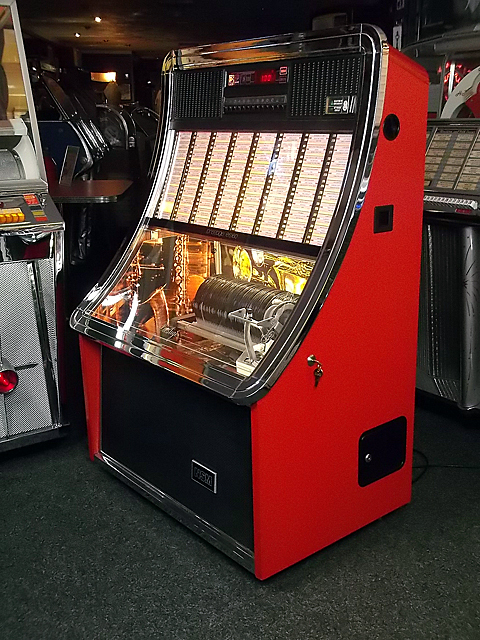 If your jukebox has been accidentally damaged, we can work alongside your insurance company to ensure your claim goes smoothly and the necessary repairs are done. 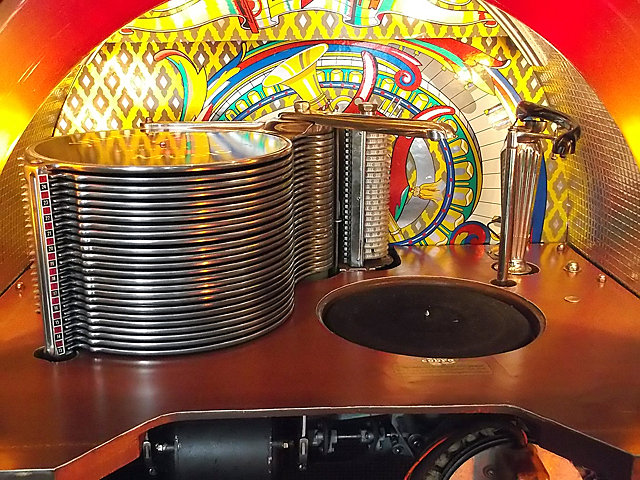 We can restore your jukebox to the same exacting standards as our own. Whether you have imported your own juke from the states or just think it is about time you resurrected that sleeping beauty you bought off the local cafe owner before he threw it in the skip, we can offer the advise you need. From sympathetic restoration for a good original machine to complete grade one rebuilds, we offer these and everything in-between. 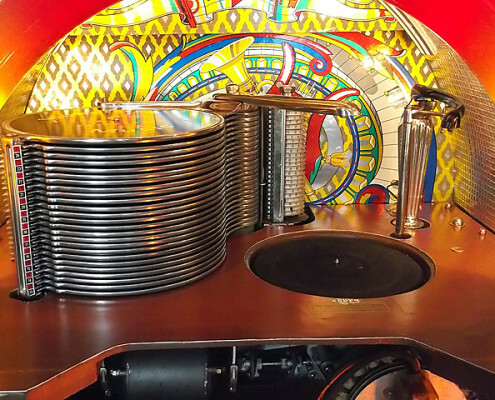 We know that money doesn’t grow on trees and some jukeboxes just aren’t financially viable so rest assured, we will let you know whether you should be spending your hard earned cash or not, and remember we will consider part exchanges on most of our already restored stock. 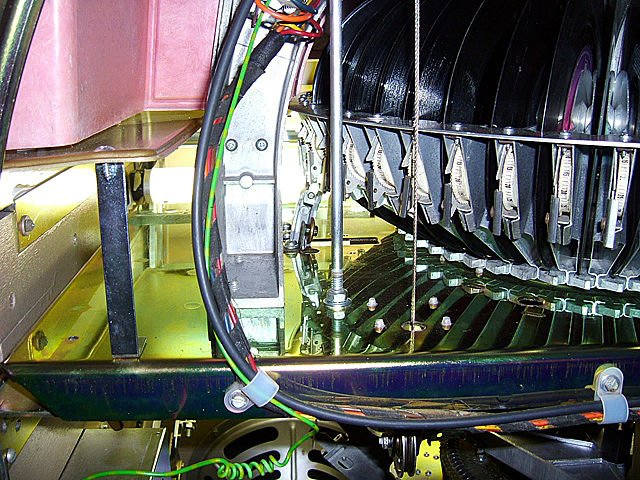 Full repair and restoration service for the mechanism and internal electrical components. 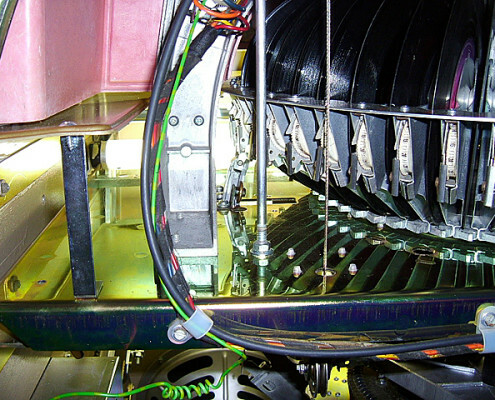 The internals of your jukebox deserve the same treatment as the outside and we pride ourselves on making sure that your jukebox is as bright, shiny and clean when you look inside. This is only possible with a thorough strip down and rebuild of selection systems, button banks, changer mechanisms and lighting circuits including the replacement of all microswitches and lighting chokes. This is the only way to ensure trouble free operation for many years to come. 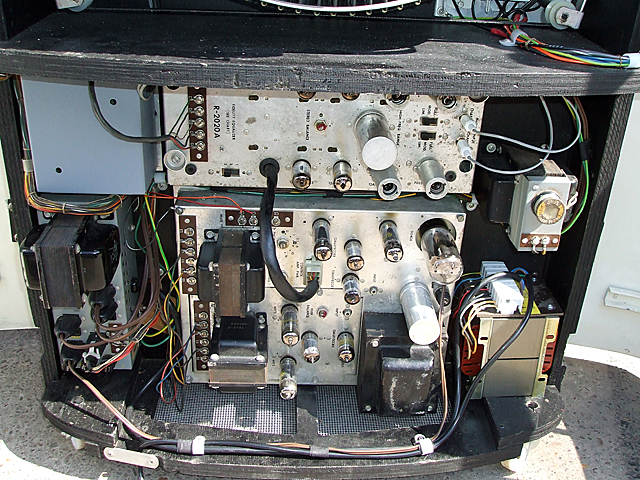 Full repair and restoration service for all valve and transistor amplifiers. 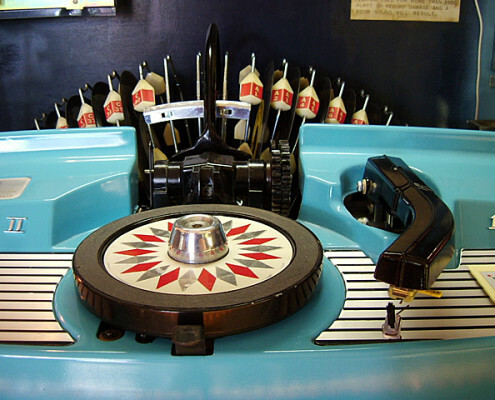 Why waste money making your jukebox look bright and shiny on the outside then forgetting the heart of the machine. After all a jukebox really is only as good as it sounds and that sound relies on a good quality amplifier restoration. Don’t trust it to an enthusiastic amateur or think that just changing all the components for something similar will do the job. 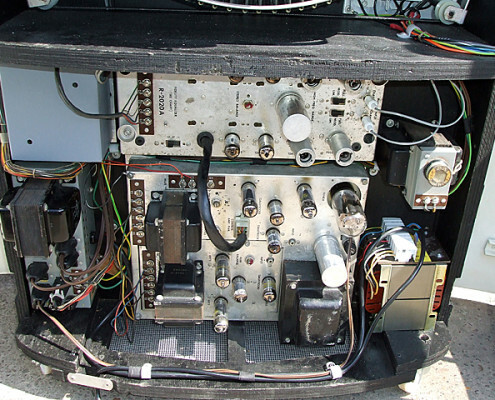 Amplifiers need to be professionally restored by an audio engineer. Full cabinet rebuild and re-finishing service. We do not do a cheap cover up job but will strip, re-glue, and repair cabinetry as required, then refinish as necessary. This includes restoring all metal parts through stripping, cleaning and polishing then zincing, anodising, chroming, powder coating or painting, and repairing or rebuilding of the wooden cabinet structure including veneering and laminating. We colour match all paint to the original and use high quality paint mixes, high quality formica laminates or real wood veneers to ensure a resilient finish. We have seen many horror stories come through the workshop doors and more often than not an expensive bill is difficult to swallow when you have already sunk half a mortgage into the machine only to be told “Oh they all do that” or “it’s 50 years old , you’ll just have to put up with it’s quirks”. Save yourself money in the long run and call us to discuss what a proper repair or restoration will cost you. Just call us on 01384 424325 or use the contact us page to get in touch and we will advise you on your best course of action.